Arboretum Wespelaar is open on Wednesdays and Sundays from 10am to 5pm. Arboretum Wespelaar is OPEN on Wednesdays and Sundays from 10am to 5pm until November 13th included. Groups are also welcome on other days on request (with guide). For more practical informations, please go to "Contact and visits". Visit our image gallery to see pictures of the Arboretum throughout the seasons! Arboretum Wespelaar is a part of ArbNet, an interactive, collaborative, international community of arboreta. Through ArbNet, arboreta around the world collaborate to conserve trees and tree collections. 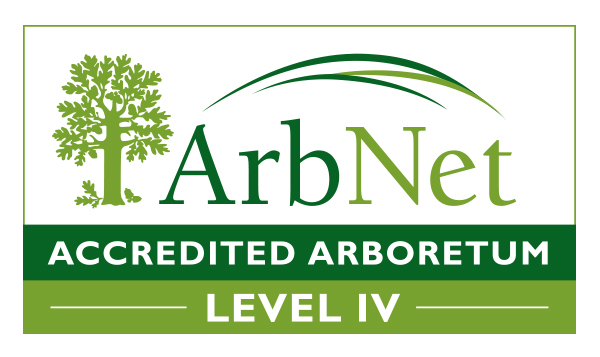 The ArbNet Arboretum Accreditation Program is the only global initiative to officially recognize arboreta based on a set of professional standards. There are 4 levels of accreditations, within which Level 4 is the highest level. Since 2016, Arboretum Wespelaar has been awarded a Level 4 Accreditation and now belongs to the crème de la crème of arboreta around the world. We are now part of the list of 26 Level 4 arboreta wordwide. Of these 26 arboreta, 18 are located in the United States, 2 in China, 3 in Australia and 3 in Europe, with Arboretum Wespelaar being the only one in Belgium. The decision was based on Arboretum Wespelaar’s strong collections documentation, education for botanical professionals and global conservation impact through advising and influencing the Global Trees Campaign. One of our strong points is our impressive collection of detailed scans and identification keys made by Jan De Langhe, dendrologist at the Ghent University Botanical Garden, in collaboration with Arboretum Wespelaar. They are available for everyone on our website. For a list of all worldwide accredited arboreta, click here. Our year report 2018 is now available on the website, you can also find it on the page Mission and history, together with the reports from previous years. In this report, you'll find out about everything we did in 2018. Enjoy the read!